One thing I am not doing, however, is conquering it, despite various accounts, brochures, guidebooks, websites, and general proclamations that I will do that very thing. Really, though – how does one even conquer a mountain? Conquering implies something nasty: a war, a power struggle, a loser, a sort of implicit violence. I took two weeks off of work, I depleted my savings, I bought a bunch of stuff coated in Gore-Tex, I took malaria pills, and I spent all of this time training for thisonemoment…I BETTER get to the top of this damn thing! I suppose being descended upon by umpteen-million porters lugging tents and toilets and tea and oxygen canisters and stoves and fluffy down sleeping bags for endless streams of would-be mountaineers could be seen as a conquering of sort. If I was the mountain and this insanity was happening on my trampled slopes, I’d probably feel pretty damn defeated. I will not conquer Mt. Kilimanjaro. Instead, I will enjoy it. I’ll look around and marvel at the sheer beauty and foreignness and get high in the altitude, literally and figuratively. I will laugh and sweat and ache and yawn and yowl and hurt and probably even cry. I’ll talk to people. I’ll talk to myself. I’ll talk to the monkeys, the trees, the rocks, the dust, the sky. I’ll be present and aware, appreciative and grateful. And if that combination of sheer charisma and unbridled enthusiasm, coupled with a bevy of load-bearing / meal-cooking / tent-setting-upping porters and every fiber of thigh muscle available should grant me passage to the snow-capped tippy-top, that will be the icing on the cake, the cherry on the sundae. The journey is the destination, not a battle to be fought. A good metaphor for life, no? Cannot wait to read all about it! I can’t wait to live it…and of course, write about it. Thank you for always encouraging me, my CoVPoS!!! That. Is. AWESOME. Love the monkey ‘do! (as in hair-do). OMG, we can get identity cards for only £25.00!!! Yes! A very good metaphor. Shawnté Salabert writes about land and people, and the intersection of the two. 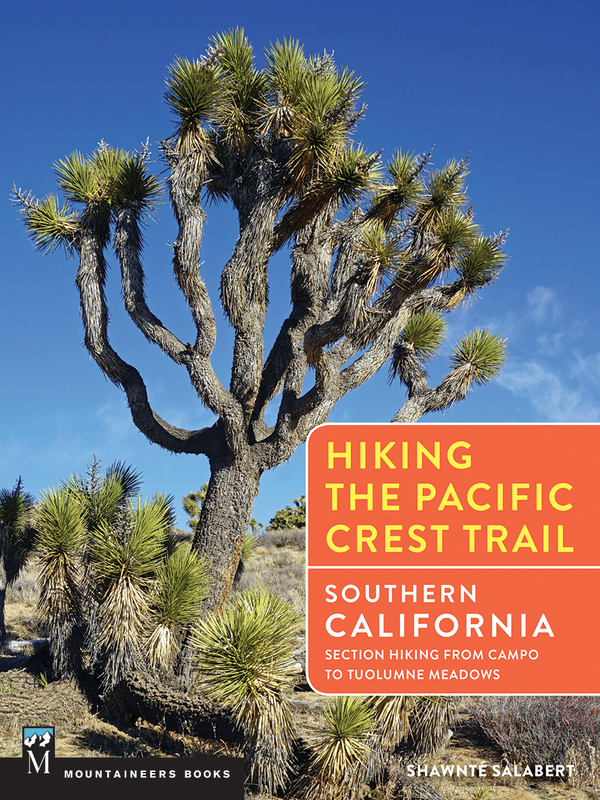 Her book Hiking the Pacific Crest Trail: Southern California is out November 2017 via Mountaineers Books.